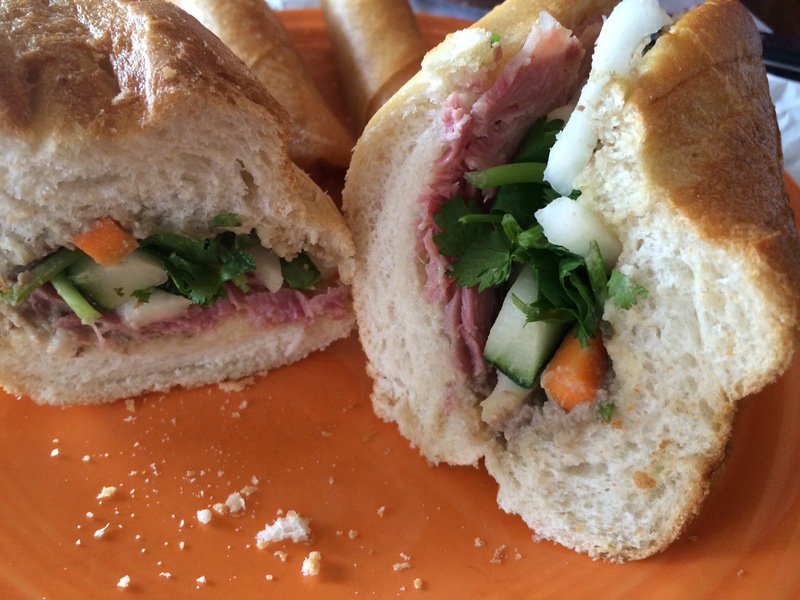 Bale French Sandwiches… FINALLY- We Hit a Vietnamese French Sandwich Shop! I blame it on my dad. It has taken almost a year for Mom to come hang out for a few days all because Dad decided to have foot surgery on one foot, then the other. I know, how selfish of him! Sheesh!! But, we made it and hoo-doggies, our lunch was good! Or, at least two-thirds of it was. 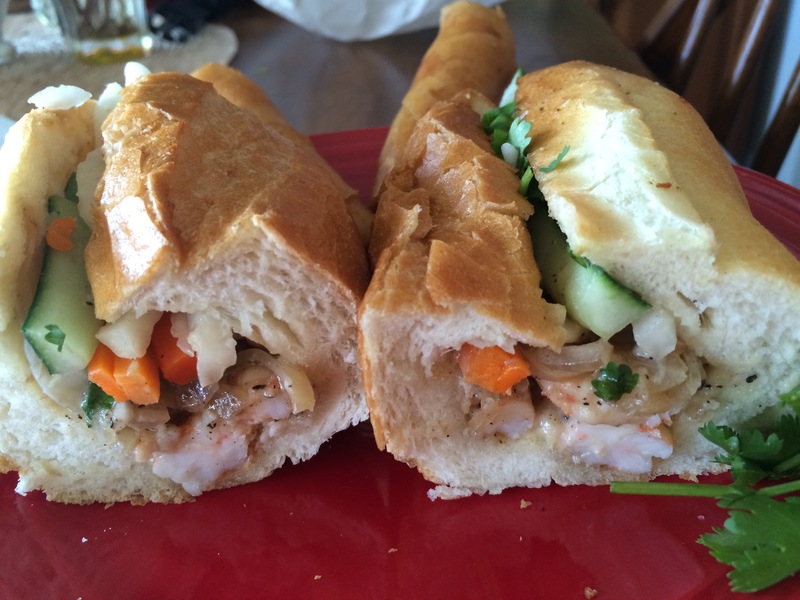 Mira Mesa’s Bale French Sandwich shop. 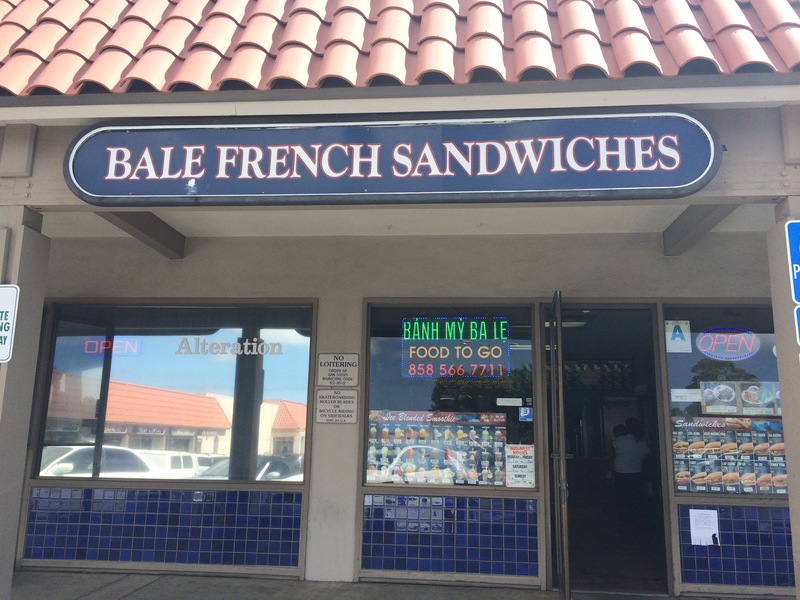 Bale French Sandwiches is a shop in Mira Mesa, part of the greater San Diego area. 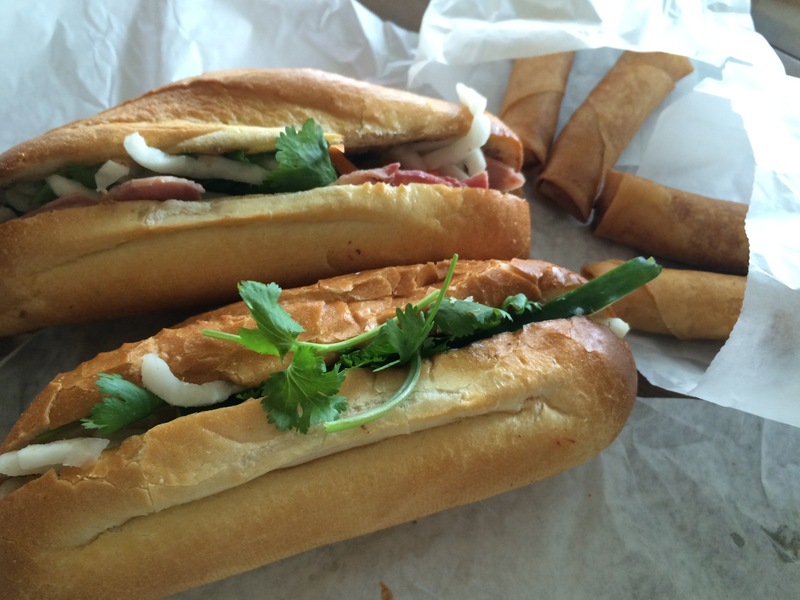 The web site mentions how they offer a fusion of cuisines, and I’m discovering that there are a lot of Vietnamese and French shops around this part of town. The small shop was hopping when we stopped by right in the middle of lunch hour- it’s always a good sign when you try a new place and see that it is really busy, right? I was expecting to eat my whole ham sandwich as it was just the right size- about a five inch bun. But noooo, I’m here with Mom, remember. In her mind you don’t order for yourself, you are ordering to share. Mom always gets her way with food… she’s four feet ten inches of a taste testing machine, I advise against getting in her way when it comes to food. There went half my ham, but I did get my share of her shrimp sandwich. Guess who’s sandwich was the best? Hers. I never would have ordered a shrimp sandwich. A Shrimp Sandwich? Really? It was delicious! Way better than my ham, in fact, there was no comparison. I didn’t care for mine at all. I wonder if it was a different kind of ham than one usually sees in a sandwich shop? I’ll have to ask my Vietnamese friends. We wimped out and asked for our sandwiches without jalapeño, and I regret not asking for extra cilantro like Mom wanted to order. Get the extra cilantro! The egg rolls, by the way, were also delicious. Our combo meals were around five dollars, each for a hot sandwich, two freshly fried egg rolls and a drink. Mighty cheap for a lunch combo, in my book. And Bale also has a super catering menu, I know where I am going to pick up three different large trays of appetizers for a crowd for under $100- Bale French Sandwiches. Previous Previous post: What to Do with 50 Pounds of Frozen Ahi Tuna?